Great parka, slim and knee length for a medium youth size. 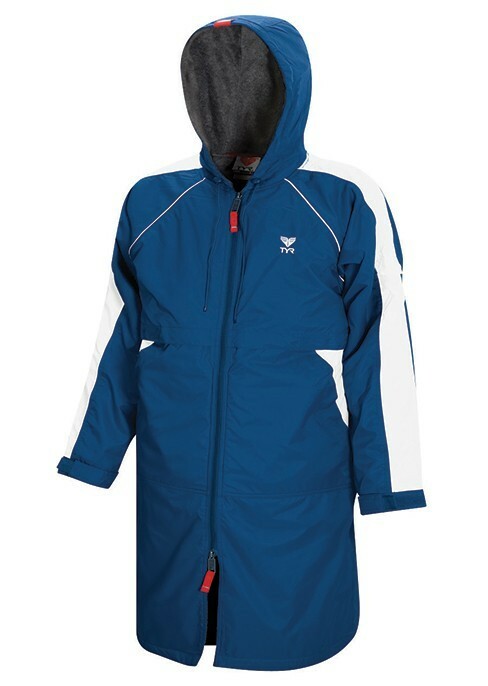 This is our second parka from TYR (1st one was stolen!) and we are quite happy with the quality! The only recommendation would be for a more plush, absorbent inner lining for our super cold Colorado weather! My seven year girl simply loves it! Doesn't have any complaints. I highly recommend it. Q: What are the measurements for both Youth S and Youth M (chest, sleeve and length)? 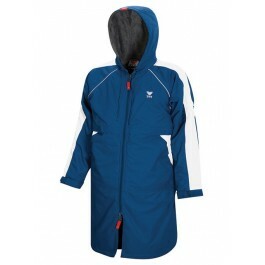 A: Our Alliance Youth Team Parka in Small is 31 inches and Medium is 33 in body length. Q: What is the chest, waist and length dimensions for the Youth Parka Large and the Adult Parka XXS? I noticed that you stated that the XXS parka had a chest width of 46" in another answer but that contradicts the information stated in the sizing guidelines. A: Chest measurement is 46 inches in the XXS. Q: I want the red parka size large. When the red parka will have again? A: We currently are not showing new PO's for the Red youth parka in 2016. We will not receive more Red Parkas until middle of next year. Sorry for the inconvenience. A: We do not offer customization through TYR.com currently, you will need to take to your local embroider or team TYR dealer. Q: What is the length on the adult xs and s? The Alliance Team Parka is ideal for cold weather use and young athletes in need of thermal protection. 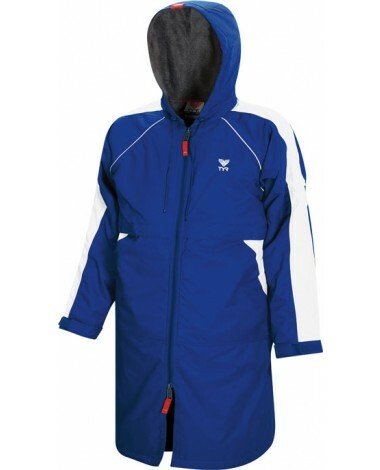 This Parka showcases a 100% Nylon and 100% Polyester Microfleece Lining for warmth and moisture management. Ideal on the pool deck or on the side lines.